Abu Dhabi, UAE. 11 February 2019 . 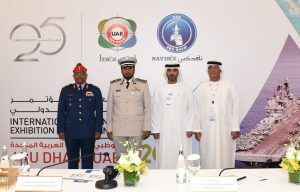 The upcoming editions of the International Defence Exhibition (IDEX) 2019 and Naval Defence (NAVDEX) 2019, held under the patronage of His Highness Sheikh Khalifa bin Zayed Al Nahyan, President of the UAE and Supreme Commander of the Armed Forces, will run from February 17 to 21 at the Abu Dhabi National Exhibition Centre. Increasing in growth year-on-year, IDEX is set to celebrate its silver jubilee with the largest edition ever since the expo’s inception in 1993. 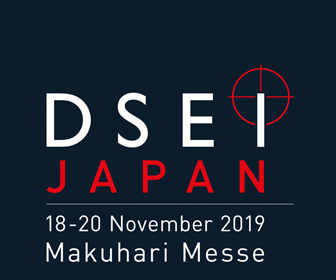 Spanning the last 25 years, IDEX has become one of the largest specialised defence exhibitions regionally and globally. The International Defence Conference (IDC 2019) will serve as a precursor to IDEX/NAVDEX from 14 to 16 February at the Emirates Palace Hotel in Abu Dhabi. Set to convene 1,200 experts and specialists from all over the world, the conference will discuss topics related to technology, science as well as the Fourth Industrial Revolution (4IR) with relevance to bolstering peace and security in the world. His Excellency Staff Major General Pilot Faris Khalaf Al Mazrouei, Chairman of the Higher Organising Committee of IDEX and NAVDEX 2019, His Excellency Major-General Staff Pilot Ishaq Saleh Al Balushi, Deputy Chairman of the Higher Organising Committee of IDEX and NAVDEX 2019, and Humaid Matar Al Dhaheri, Group CEO of the Abu Dhabi National Exhibitions Company (ADNEC) made the announcement today at a press conference held at the Abu Dhabi Exhibition Centre. 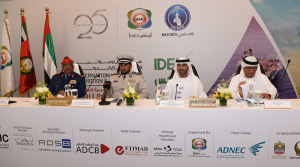 His Excellency Staff Major General Pilot Faris Khalaf Al Mazrouei, said: “Patronised by key decision-makers, experts and specialists in the defence industries sector, IDEX in its 25-year anniversary is set to become one of the largest specialised exhibitions globally. 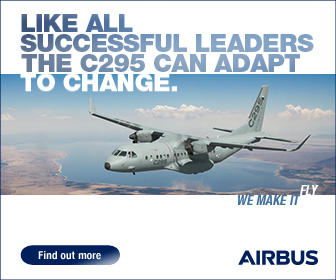 To its credit, in a short period of time, NAVDEX has also proved its unique position among the world’s leading exhibitions in the maritime defence industry. His Excellency Al Mazrouei further noted that more than 170 local companies from the defence and its supporting sectors will participate in the 2019 edition of the exhibitions. He added that both platforms will help shed more light on the national defence industry, creating new opportunities to engage with key international companies in this sector. In closing, His Excellency Staff Major General Pilot Faris Khalaf Al Mazrouei extended his appreciation to all national stakeholders and partners of the events, including Emirates Defense Industries Company (EDIC), Tawazun Holding, Abu Dhabi Ship Building Company (ADSB), and the Abu Dhabi Health Services Company. He added: “In conducting expert-led discussions, IDC aims to highlight recommendations and solutions that factor in the impact of the 4IR and further drive key pillars of international peace and security. Humaid Matar Al Dhaheri, said: “The IDEX and NAVEX exhibitions are among the most prominent and successful events organised in the UAE. Over the years, IDEX has witnessed qualitative and quantitative increases in terms of space, number of visitors and exhibitors. In 2019, the total area dedicated for IDEX and NAVDEX will increase by 26 per cent to 168,000 square metres compared to 133,000 square metres in 2017. In 2019, the number of exhibitors for IDEX and NAVDEX will increase by six per cent to 1,310 compared to the 1,235 companies in the previous edition. International companies will account for 85 per cent of the total number of companies, while the number of local enterprises exhibiting will reach 170, representing 15 per cent of the exhibitors. Moreover, the number of participating countries will also increase by nine per cent or 62 countries compared with 57 in 2017. Meanwhile, the 2019 edition will host 33 national pavilions or 18 per cent increase as compared to 28 in the previous edition. 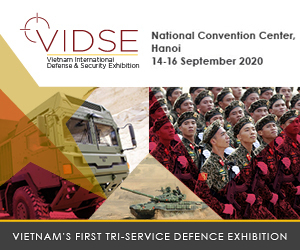 Moreover, the exhibiting space dedicated for NAVDEX 2019 will increase by 52 per cent to 45,000 square metres, compared with 30,000 square metres in 2017. The number of exhibitors at NAVDEX will increase to 113 or 14 per cent, as against 99 in the previous year. The number of participating military units for NAVDEX is expected to increase by 66 per cent to 20 units from 15 countries. To conclude, Al Dhaheri, extended his appreciation to the General Headquarters (GHQ) of the UAE Armed Forces, and UAE Ministry of Defence for their support and collaboration in organising IDEX, NAVDEX, and IDC. IDEX and NAVDEX will feature several new components in the upcoming edition, including an IDEX museum that details and celebrates the exhibition’s 25-year journey. For the first time, IDC will be combined with the Abu Dhabi International Offset Conference (ADIOC) with the aim of creating a comprehensive global forum covering all defence and security issues, as well as relevant innovations of the 4IR under the theme — ‘Shaping Our Shared Future: Strengthening Our Security and Prosperity through Innovation’. 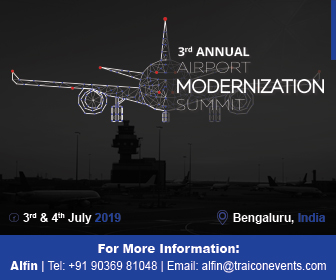 The 2019 edition will also include a dedicated wing for artificial intelligence, focusing on advanced and smart systems participating at the exhibition. As part of its agenda, the conference will host interactive discussions on four key focus areas: offset, security and stability, knowledge economy, and innovation and artificial intelligence. The event will also seek to strengthen the leading status of the UAE as a global hub for such specialised conferences.